Cindy Atlee is an imaginative, insightful consultant, coach and facilitator who believes every individual and organization has a powerful story to tell. She combines her extensive senior-level background in strategic planning, branding and communications with innovative experience in organizational development, transformational leadership and employee engagement. Cindy is co-developer of the Professional Strengths, Values & Story Survey (SVSS), a tool that’s been used by thousands of organizations, teams and professionals get clear on who they really are and the unique value they have to offer. Her innovative story typing process has won multiple awards and been used by such organizational clients as Kashi, USDA, the National Education Association, and Meals on Wheels America. Cindy is currently partner at The Storybranding Group, where she brings her trademark facilitative style to help clients define and convey who they are at their best; understand, inspire and motivate others more easily; and build more engaged, committed and effective teams. Previously she was SVP, Branding & Organizational Culture, at the global public relations firm Porter Novelli. Cindy is also an engaging and productive facilitator who’s conducted literally thousands of planning processes, workshops, retreats/offsites and focus groups. She’s a frequent speaker and trainer who presents on story-based communications, effective messaging strategies, branding, leadership presence and voice. She holds a B.A. from Old Dominion University, and two post-graduate leadership and coaching certificates from Georgetown University and George Mason University. 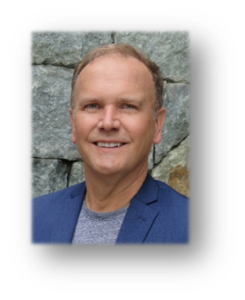 Passionate about helping organizations and individuals turn potential into performance, Craig is committed to masterful, action-oriented coaching that moves leaders and teams forward in measurable and meaningful ways. During his career in communications/public relations and as a professional coach and trainer, Craig has helped numerous clients in the association and non-profit communities, government, academia and private business become highly-effective leaders and build high-performing teams. Craig is particularly adept at helping leaders and teams articulate a vision, clarify strengths and weaknesses, identify and align resources, map a path forward, overcome impediments, and successfully execute action plans. Creative, intellectually curious and action-oriented, Craig uses a host of customized programs and coaching techniques to help his clients discover new perspectives on complex puzzles, overcome blocks to success, aim high and achieve the peaks to which they aspire. Craig received his formal executive coach training and certification through the College of Executive Coaching, his Leadership Coaching for Organizational Performance certification through American University’s Kogod School of Business and his Team Performance Coach certification from Team Coaching International. Since 2010, Craig has amassed more than 1,000 hours of coaching experience and facilitated or co-facilitated more than three dozen team coaching and team performance programs. Craig also is the former Marketing/Communications Chair for the ICF MetroDC chapter’s Board of Directors. As a leader in the convergence of Knowledge Management (KM) and Organization Development (OD), Mr. Hovell is the CEO and co-founder of STRATactical. He is a practitioner, speaker, and author in OD/KM strategies and their application to current challenges. He has lived in multiple countries and clients appreciate the international experience. John led a team to win a Chairman’s Award at BAE Systems in 2014. Previously, John was part of a team to win Lockheed Martin’s top recognition award. John volunteers as the corporate lead for the award-winning annual STEMmerday event where thousands of participants engage in Science, Technology, Engineering and Math related learning activities. John serves on several advisory boards including the International Knowledge Management Institute, Training Industry Quarterly, and Synergy Development and Training. John has lead 5 different teams that have won awards from Chief Learning Officer magazine. In 2015, he was named the 8th most influential person in Knowledge Management. He has published numerous articles and book chapters. He became a fellow with the Royal Society for Arts (RSA). John especially enjoys quality time and conversation with his wife and 2 daughters.